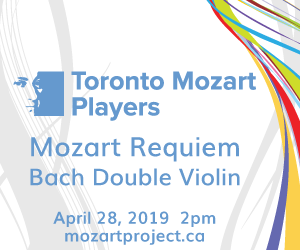 When violinist Jacques Israelievitch joined the Faculty of Music at York University in 2008 he became a colleague of pianist Christina Petrowska Quilico, and it wasn’t long before they started performing as a duo. They also sight-read all of the Mozart sonatas for their own pleasure, and soon added some of the late works to their concert recitals. This led to their performing all of the sonatas in a marathon concert of more than seven hours (with three short breaks), an experience which convinced them to try to recreate the excitement by recording the complete series. They were part of the way through the project when Israelievitch was diagnosed with advanced lung cancer. Despite a break for hospital treatment he managed to find the strength to complete the project, recording the final six sonatas in less than four hours. He passed away on September 5, 2015. Mozart: Sonatas and Variations for Piano and Violin Vol.1 is the initial release in the series, issued “with a heavy heart” by Fleur de Son Classics (FDS 58034). This first volume features the Sonata No.28 in E Flat K380, the Sonata No.32 in B-Flat Major K454, the Sonata No.35 in A Major K526 and the Six Variations on a French Song K360. These works are perfectly suited to Israelievitch’s distinctive style and sound, which was always warm, gentle and sensitive. More so than in the early juvenile sonatas written before Mozart turned 11, where the violin is little more than an accompaniment to the piano, the instruments are on equal terms here, and it’s obvious that Israelievitch and Petrowska Quilico are of one mind in their performances. I’m not sure how many volumes there will be in this series – there are 19 mature sonatas as well as the 17 juvenile works – but if this first volume is anything to go by then it will be a series to treasure, and one that will be a wonderful memorial tribute to a great and much-loved violinist. There seems to be a never-ending stream of emerging top-notch violinists these days, but every now and then a talent emerges that simply stops you in your tracks. One such talent is the 19-year-old Canadian violinist Kerson Leong, who makes his CD debut with Bis on the Analekta label with Canadian pianist Philip Chiu (AN 2 9160). Leong is by no means an unknown, having won the Junior First Prize at the 2010 Menuhin Competition in Oslo, as well as numerous awards here in Canada, but from the very first bars of the opening track it’s clear that this is a very special violinist with qualities that lift him from the general crowd and place him in the stratosphere. In a blog from the 2012 Menuhin Competition, Nancy Pellegrini called Leong “a 15-year-old with a 45-year-old’s stage presence.” The level of musical maturity on display here is simply staggering. Leong chose to make his first album a series of encore-style pieces, saying that he thought it would be the ideal way to introduce himself, and it was a wise decision: the wide range of composers and styles allows him to display his dazzling talents to the fullest. From the rich, deep, passionate tone of the Brahms Hungarian Dances Nos.1 and 17, through Kreisler’s Liebesfreud and Liebesleid, a Gluck Melodie, the Bartók Romanian Dances, Medtner’s Fairy Tale, the three Gershwin Preludes, Rachmaninoff’s Vocalise, a simply ravishing Debussy Clair de lune and Valse, to Wagner’s Albumblatt and the final Hebrew Melody Op.33 by Joseph Achron, this is magnificent playing by a young violinist who must surely be on the cusp of a stellar international career. Chiu’s finely judged accompaniments add greatly to an outstanding CD. The Juilliard graduate and Itzhak Perlman protégée, Francesca dePasquale (francescadepasquale.instantencore.com), has also released a self-titled debut album, with pianist Meng-Chieh Liu. Like Leong, dePasquale has been around for quite a while – she made her debut at the age of nine touring Spain – and for her first album chose works that she feels are not only dear to her heart but that also show her wide range as an artist; also like the Leong CD, it’s a choice that works extremely well. DePasquale has a beautiful tone and impressive technique. There’s a lovely reading of the Bach Partita No.2 in D Minor for Solo Violin, and a really strong extended melodic line in Messiaen’s Thème et Variations. Paola Prestini’s very effective Oceanic Fantasy for Solo Violin and Electronics, a 2015 commission from dePasquale, incorporates field recordings of southern Italian songs, although the work is almost entirely for violin alone, with Bach-like arpeggios and double-stopping and strong melody lines. The remaining works are the brief Schumann Intermezzo from the F.A.E. Sonata, Bartók’s Rhapsody No.1 and a simply gorgeous performance of Marietta’s Lied from Korngold’s opera Die Tote Stadt; there is a video of the recording session of the latter, along with audio samples of all the tracks on the CD, on dePasquale’s website. It’s well worth a visit. This seems to be a good month for debut albums. First Day is the solo debut CD of the American cellist Laura Metcalf, accompanied by pianist Matei Varga in another varied program of works to which both performers feel deeply connected (Sono Luminus DSL-92201). Metcalf has extensive experience as both a chamber musician and soloist, and has a lovely tone and a fine legato. She has been friends and musical partner with Varga since 2004, and one wonders why a solo CD has been so long in coming. Still, it was certainly worth the wait. Two works on the disc by young American composers are world premiere recordings: Caleb Buhrans’ Phantasie and Dan Visconti’s very brief but joyful Hard-Knock Stomp. There are also works by José Bragato, Bohuslav Martinů, Alberto Ginastera and Marin Marais. A student work by a young George Enescu, the single movement Sonata in F Minor, was only recently discovered and is still unpublished. The CD’s title comes from the phrase “paths of the first day” from the Francis Poulenc song Les Chemins de l’amour, the final track on the album. Metcalf adds a vocal performance to bring an excellent CD to a simply lovely close. This also seems to be a great month for violin and piano CDs. Interchange is a new release from the Australian violinist Sarita Kwok (a longtime resident in the United States) and pianist Wei-Yi Yang featuring Violin & Piano Duos of the 20th Century (Genuin GEN 16548). Janáček’s Sonata is a late work that shows the influence of the First World War as well as the composer’s fascination with the speech patterns of his native Moravia that gave his late music such a distinctive sound. It’s a difficult, intense, passionate and constantly changing work, and Kwok captures every element perfectly. Stravinsky’s Duo Concertante and Prokofiev’s Five Melodies are given equally sympathetic performances, and there is a stunning sense of style in Ravel’s Sonata No.2 in G Major, particularly in the Blues middle movement and the final Perpetuum mobile. Kwok displays a gorgeous tone, a dazzling technique and a beautiful focus throughout a terrific CD, and is matched in all respects by Yang’s outstanding piano playing. The latest issue from the outstanding American violinist Rachel Barton Pine is Testament, a 2CD set of the complete Bach Sonatas & Partitas for Solo Violin (Avie 2CD AV2360). As I’ve noted before, comparative reviews of these sets are not only extremely difficult, given the huge number of performer choices available, but also irrelevant. Probably more than with any other works in the solo repertoire, recorded performances of the Sonatas & Partitas are about making an intimate personal statement. The sheer size and scope of the work means that there will always be countless variations – small and large – between various interpretations; all that matters is that each performer’s personal views and feelings come through, for nothing lays a violinist’s soul bare more than these astonishing pieces. Barton Pine makes no attempt to hide the work’s spiritual significance for her, choosing to record the CD in her church, St. Paul’s United Church of Christ in Chicago, the place she calls her “emotional home” for Bach’s music and where she first encountered the violin and first played Bach in a worship setting at the age of four. There’s certainly a spirituality to her playing, which is quite superb. The recording is, she says, a testament to her lifelong relationship with one of the cornerstones of the violin repertoire and to all who have inspired and supported her. And what a testament it is. Canadian violinist Andréa Tyniec has released a simply stunning recording of the Six Sonatas for Solo Violin Op.27 by Eugène Ysaÿe (Really Records REA-CD-5898D). Tyniec raised the money to fund the recording through the online fundraising site Indiegogo and boy, was it worth it! These astonishing sonatas, apparently mapped out within the space of 24 hours in July 1923 and published in 1924, manage to look back to Bach as well as forward to the 20th century, and are arguably the greatest solo works in the violin literature after the Bach Sonatas & Partitas. This is the sixth complete set I’ve received in the past five years and, as with the Bach works, comparative reviews are almost impossible in the space available. Suffice it so say that Tyniec’s faultless technique, outstanding musicianship and a crystal-clear recorded sound make this marvellous set one to revisit and to treasure. One of the Ysaÿe sonatas – the No.4 in E Minor – is featured on Perspectives on Light & Shadow, the new CD from violinist Ann Miller (annmillerviolin.com) with pianist Sonia Long. Although a more-than-capable reading, it doesn’t quite match Tyniec’s; a rather muddy recorded sound doesn’t help. The same could be said for the Bartók Sonata No.1 for Violin and Piano, which doesn’t really come up to the Tanja Becker-Bender recording reviewed last month. The real gem here, though, and what makes this CD so interesting, is the Sonata for Violin and Piano by the American composer Robert Beaser (b.1954). Consisting of a theme and 15 variations divided into three contrasting movements of five variations each, it was reworked for violin in 2002, having been originally written in 1981 for flute and piano, although you would never guess: it’s strong, idiomatic writing for the violin, and a striking and quite brilliant work that brings the best playing on the disc from Miller. Fantasy & Romance – Schumann: Music for Cello and Piano is the latest CD from Emanuel Gruber, who has previously recorded the complete music for cello and piano by Beethoven and Mendelssohn; Keiko Sekino is the pianist this time (Delos DE 3481). Although Schumann loved and played the cello he left only two works written specifically for the instrument: his Cello Concerto in A Minor and the Five Pieces in Folk Style Op.102, the latter included on this album. The other works here are all transcriptions or arrangements, although Schumann did suggest that two works – the Fantasiestücke Op.73 for clarinet and piano and the Adagio and Allegro Op.70 for horn and piano – could also be played on the cello. The Drei Romanzen Op.94, arranged here by Valter Dešpalj, were originally for oboe and piano; the Märchenbilder Op.113, in a transcription by Alfred Piatti and Christian Bellisario, were originally for viola and piano. Two piano pieces – Abendlied Op.85 and the famous Träumerei Op.15, in lovely arrangements by Lothar Lechner – complete a very attractive CD. Gruber notes that the lyrical quality of Schumann’s music makes the cello an ideal medium of expression, and regardless of the original scoring of the works here, these lovely performances certainly support that opinion. Victor Herbert was another composer who played cello, but in his case at full professional level. He was born in Ireland in 1859, but grew up in Germany, emigrating to the United States in 1886. By the late 1890s he was one of the most famous musicians in America, celebrated for his playing and conducting and for his operettas. His Cello Concertos Nos.1 and 2 are featured on a new Naxos CD in performances by Mark Kosower and the Ulster Orchestra under JoAnn Falletta (8.573517). Not surprisingly, both works are typical of the late German Romantic school. The Concerto No.1 in D Major Op.8 was performed by the composer in Stuttgart in 1885, and again in New York in 1887, but remained unpublished and apparently unperformed for many years; it was first recorded in 1986. The Concerto No.2 in E Minor Op.30 is the stronger of the two works. Dvořák attended its premiere in New York in March 1894, and was so impressed with Herbert’s balancing of the large orchestra and the solo cello that it led directly to the composition of his own B-Minor Concerto within the year. Kosower is in great form in two really lovely performances, and Falletta draws spirited playing from the orchestra for which she was principal conductor from 2011 to 2014. Herbert’s Irish Rhapsody for Grand Orchestra completes the disc; it’s the expected mix of Irish tunes, much like the Bruch Scottish Fantasy in mood and orchestration, and with some brilliant counterpoint to round it off. There’s more Irish music on Dancing in Daylight – Contemporary Piano Trios from Ireland, a new CD featuring works by Seóirse Bodley (b.1933), John Buckley (b.1951), Rhona Clarke (b.1958) and Fergus Johnston (b.1959) in performances by the Fidelio Trio (métier msv 28556). Last year the trio completed a residency in the music department of St. Patrick’s College in Drumcondra, Dublin, during which time they commissioned the works by Bodley, Buckley and Johnston. Johnston’s Piano Trio dates from 2011; Buckley’s Piano Trio from 2013; and Bodley’s Piano Trio ‘Dancing in the Daylight’ from 2014. Clarke’s Piano Trio No.2 was originally written in 2001, but revised in 2007 and 2015, when it was played during the Trio’s residency. All four works are extremely strong, well-written, accessible and effective, with performances and recording quality of the highest level throughout a really interesting CD. Nocturne is the second CD by the Thunder Bay flamenco guitarist and composer Matt Sellick (matt.sellick@gmail.com), whose first album After Rain was very favourably reviewed in the February 2015 edition of The WholeNote. Sellick has spent four summers studying in Spain with some of the leading flamenco guitarists, and it show. He admits that this new CD is “more clearly flamenco” than his first, but also acknowledges that there are other influences at work here as well. All 11 pieces – some solo and some accompanied by bass and percussion – are original compositions, and there is a lovely mix of different moods and tempos. He obviously has a great feel for flamenco, an outstanding technique – clean, accurate and clearly defined – and plays with a warm rich sound and a lovely range of tone colour and shading. The recording quality and ambience are perfect. Sellick is clearly a huge talent; this is a terrific CD, and it will be very interesting to see what he does next.